The September birthstone is the radiant and powerful sapphire. The stone is known to clear the mind and bring about “serenity, joy and peace,” when worn. While the stone is typically associated with those born in the month of September, the stone is also used as a natural therapeutic aid to assist with those in need of strength. The stone itself is said to have “ strong energy for general protection, as well as protection from evil.” This means that the stone, when worn as earrings or in a cuff bracelet, can help to keep a clear mind. During the grieving period after the loss of a loved one, it is common for the mind to become drenched in memories and heavily consumed in thought. This consequently can make daily activities difficult and stress- inducing. The wearing of sapphire can help to eliminate some of that mental- fuzziness and provide the mind with a much- needed break. Incorporate the sapphire gemstone into your repertoire of accessories and feel the spiritual, emotional and psychological demands that life confronts you with become less burdensome. 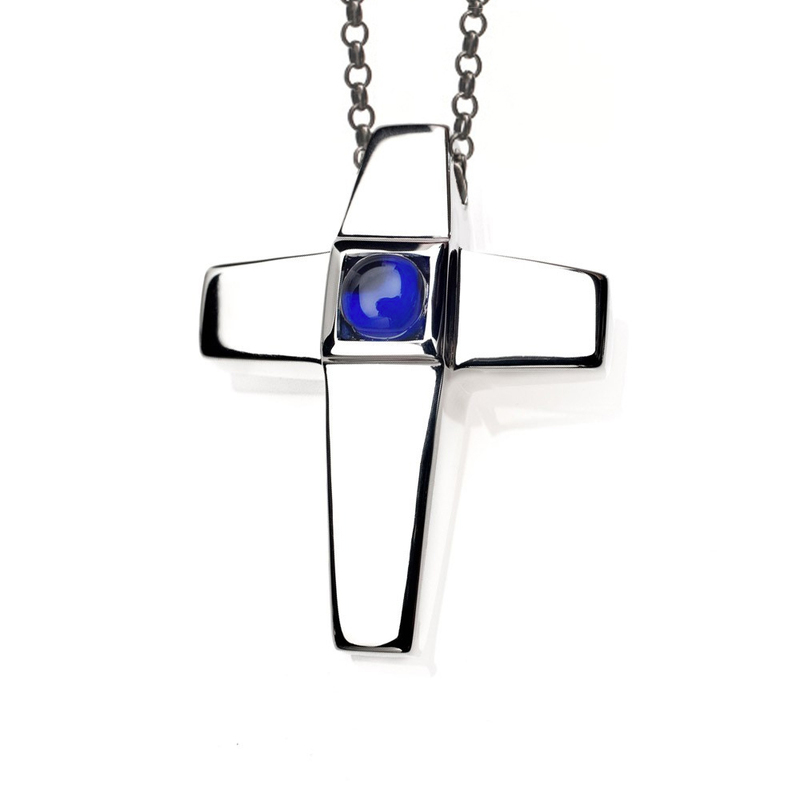 As shown, Treasured Memories® Cross Pendant with Simulated Sapphire Birthstone designed to match the End Caps of our Keepsake Bracelets, Pendants and Earrings.